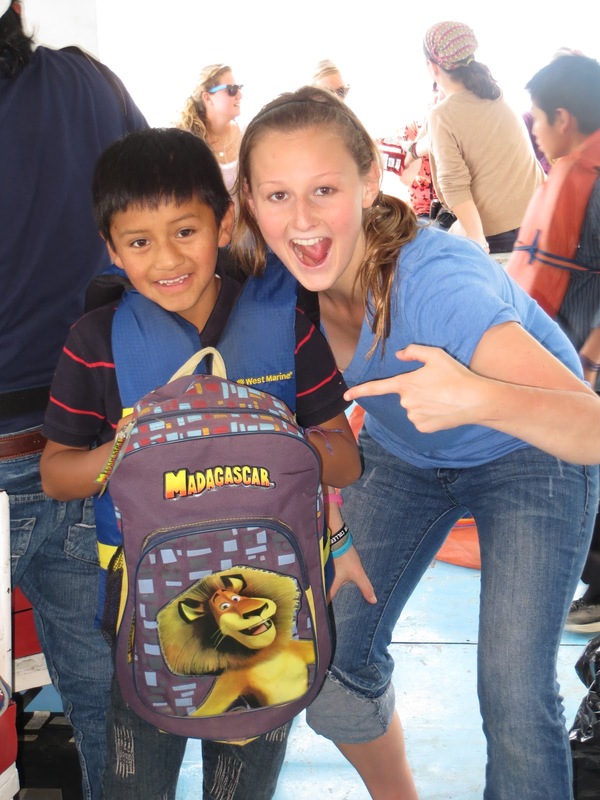 Well, it looks like my time in Guatemala is coming to an end. I can’t believe it - I don’t think any of us can. Cliché as it may sound, it seems like just yesterday that we were wandering around the airport with no clue what to expect and piling into a van with five strangers (Emily too! ), nonetheless. In less than a week, something strange happened: everything started to seem normal. The nine strangers we were living with were no longer strangers but rather our temporary family. Hopping on a chicken bus to find that it was more crowded than anything we had ever seen was no longer an ordeal, but rather a way of life. The kids in Central and Cooperativa (the schools we work in) were no longer meaningless faces on the street, but rather real people who we quickly began to care about and whose lives we thought we might actually be able to improve. We have had the opportunity to do a bunch of cool things since we’ve been here: hike to the top of Tajumulco (the highest point in Central America), travel to Monterrico to enjoy Guatemala’s finest beaches, and even explore ancient Mayan ruins at Tikal. As awesome as each of these experiences have been, I have to say that interacting with our students has undoubtedly been the COOLEST part of this trip. Whether they are giggling as we introduce ourselves with our Gringo names, running to hug us and screaming our names as we arrive at Cooperativa, focusing as they try to contort their mouths so they can pronounce a new English word, or challenging us to a game of basketball, these kids never fail to make life interesting and exciting. More importantly, they never fail to teach me something new (and here I was thinking that I came to Guatemala to teach them). Sometimes they were literally teaching me, as in how to say dog (Tze) in Kaqchikel, their native language, for example. But most of the time, I just learned by watching. I watched kids fall down or take a blow to the head from a soccer ball without shedding a tear, time and time again. Surely, if we were in America, they would have been bawling. I watched others screw around with their friends during school, seemingly as if they lacked any ability to focus, but managed to get down to business and work for their families when they got home. Their culture is just so different from ours, and over the past month, I have found myself feeling surprised time and time again. Considering the difference in our lifestyles, nothing has been more significant to me than the moments when we were able to put smiles on the childrens' faces. Sometimes it was by letting them play with our cameras or letting them listen to our iPods. At other times, kids were legitimately excited about what we were doing in class. 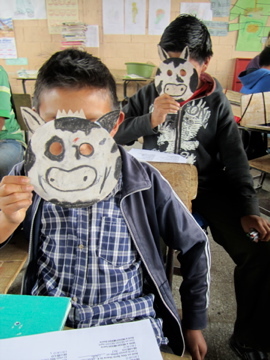 Personally, my favorite was the time that we taught them Old McDonald while they were learning the animals--our students were ecstatic as they held up their animal mask and screamed out its name. During mini camp, everyone was enthusiastic as Karianne and Grace led a group sing-along to Justin Bieber’s Baby and as they had the opportunity to bust a move to the Cha Cha Slide. I really do believe that we have made a difference here and, more importantly, that Manna will continue to do so in the future. I feel great leaving MPI Guatemala in the hands of Dana, Lorena, and Christina (and the new interns who will be arriving on Sunday), and I can’t wait to hear about the great things that this organization does in the future.